April Hill specializes in teaching musical theater vocal technique and styles. At UNCG, April teaches applied voice lessons for music theatre students and Class Voice for Musical Theatre, which helps students develop healthy vocal technique and learn about music theatre singing styles in a class setting. Since 2006, she has been teaching voice lessons, classes, and occasionally musically directing at Elon University in NC. In addition to UNCG and Elon, April has worked at Shorter College in Rome, Georgia as the Music Theater Specialist. A native of North Carolina, April received both her MM in Vocal Performance and her BM in Choral Music Education from the University of North Carolina-Greensboro (UNCG). She taught choral music in the public schools for 4 years and has been teaching private studio voice since 1998. April has been involved in numerous productions as musical director. Past shows include Hairspray, Les Miserables, The Full Monty, A Chorus Line, My Fair Lady, Anything Goes, The Wizard of Oz, Falsettos, Closer Than Ever, Oklahoma! and Side By Side By Sondheim with various theaters. 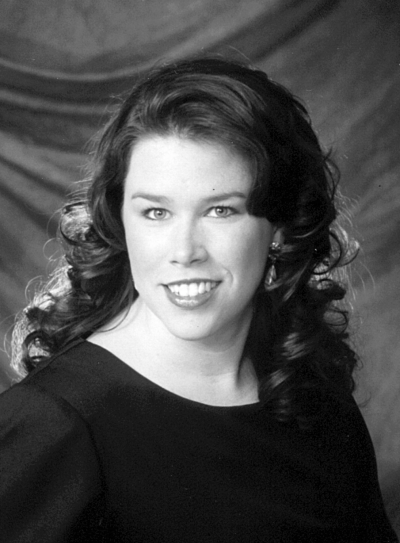 April has been Mezzo-Soprano soloist with Greensboro Oratorio Society (NC), Choral Society of Greensboro (NC), Alamance Chorale (NC), and area churches. She has sung professionally with the Bel Canto Company (Greensboro, NC) and the Carolina Chamber Chorale (Charleston, SC). In the fall of 2009, she premiered the role of Camala in a concert version Sorrel Hays’ new opera, Toowhopera at the Georgia Music Teachers’ Association’s fall conference in Rome, GA.
On the college level, April has musically directed at Elon University, Shorter College, and UNC-Greensboro doing shows such as The Wedding Singer, Songs for a New World, Thoroughly Modern Millie, Guys & Dolls, Godspell, Batboy, Urinetown, Cabaret, and The Wild Party. Her work with theatre and musical theater majors at UNCG, Shorter College and Elon University has allowed students to go on to Broadway, National Tours, regional theaters, cruise lines, Disneyworld, and Universal Studios in Florida. April is a member of the National Association of Teachers of Singing.